As Francesco Duranti already pointed out in his comment here at I-CONnect on 17 December 2014, Judgment no. 238, delivered on 22 October 2014, demonstrates how the Italian Constitutional Court (CC) “dialogues” with the International Court of Justice (ICJ) about the international custom on the immunity of States from the civil jurisdiction of other States. For the first time ever, the CC held unconstitutional both the legislative measures through which Italy sought to fulfill its international legal obligations as well as the statute ratifying the UN Charter insofar as it called for conformity to the ICJ’s ruling. The CC also declared that the controversial international principle enforced by the ICJ—the customary immunity of States from the civil jurisdiction of other States for acts iure imperii even if committed in gross violation of international law— cannot become part of the national legal system, as it is prevented from doing so by Articles 2 and 24 of the Italian Constitution (the protection of inviolable rights of the person, and the right to judicial action and defense, respectively). What Duranti ironically (I suppose) describes as “dialogue”, turns out to be a harsh reprimand by the CC to the ICJ: “you made a mistake and we will fix it!”. Italian law does not allow dissenting or separate opinions to be attached to CC judgments, but it is well known that, on this issue, there has been a bitter crossfire inside the CC, and the decision was not unanimous. Moreover, after a month of uncomfortable silence, the Italian legislator—fearing political repercussions by the international community—hastily passed, through an amendment to the law converting a decree-law on the backlog of civil justice, a clause stating that the funds belonging to foreign diplomatic and consular offices in Italy are exempted from all the orders and procedures for the enforcement of civil judgments concerning the payment of money. This clause is obviously concerned with the possibility of civil judgments awarding large monetary compensations to victims of war crimes, or to their heirs, and aims at preempting the enforcement of such judgments against German offices in Italy, and their funds. The point of my post is to highlight that the CC’s judgment questions a thesis which lately appears to have entered the mainstream of European and US scholarship: the alleged supremacy of ‘global constitutional’ law (or cosmopolitan constitutionalism), produced mainly by a network of national and international courts. Judgment no. 238 unexpectedly and clearly shows that the legitimacy and authority of international courts can still be, in some instances, weak. Over the centuries, fundamental rights have been a ground for agreement, but also for dissent and conflict. Now the CC actively opposes the ICJ ruling as it, in order to defend the “primacy” of the fundamental rights of the human being, does not deem necessary to “bend” the Constitution to the purely State-centered logic followed by the ICJ. The CC’s decision to subvert the ICJ ruling undermines the idea of ‘co-operative dialogue’ among courts on which the same CC often dwelled in recent years , and which is a cornerstone for the theories built by the supporters of ‘global constitutional’ law. Now the CC makes clear that the “dialogue” between an international and a national court cannot be played as along a script where the former says to the latter: «I rule; you take notes». This is evident in Judgment no. 238: as no autonomous margin of appreciation was available for a constitutionally-oriented construction of the relevant international obligation, the national CC opposed the international court, although the Strasbourg Court, in Jones v. UK, and the Supreme Court of Canada has already adopted a very deferential stance towards the ICJ’s position. To be clear, I think that Judgment no. 238 is weak and, to a large extent, wrong; and I am not inviting anyone to resist the celebration of ‘global constitutional’ law in the name of a naif revanche of an odd patriotism. Instead, I wish to point out that such celebrations are often too optimistic, and to call for a more complex evaluation of the political, cultural and constitutional constraints and difficulties that challenge the narrative of pluralism at the supranational and global level, with particular regard to the development of rights cosmopolitanism at the transnational level. In sum focusing on the Italian experience, at least two recent decisions of the CC show the conflicting face of human rights protection, and an attempt by the national court to unilaterally assert its own vision of this function. Besides the decision no. 238/2014, it is worth briefly recalling that the CC, in Judgment no. 264/2012, applied a balancing test that sacrificed part of the right to a fair trial, in favor of other constitutionally relevant interests, against the position taken by the Court of Strasbourg. The fiercely independent attitude of the Italian CC shows that not everyone is prepared to take seriously international law for what it already is: An integral part of our highly imperfect constitutional universe. As interpreted by the ICJ in its judgment in Germany v. Italy [3 February 2012]. Cfr. Article 19-bis of Decree-law no. 132/2014, as converted by Law no. 162/2014. Cfr. D. Tega, I diritti in crisi [Rights in crisis], Milan (2012). Supreme Court of Canada, Kazemi Estate v. Islamic Republic of Iran, [10 October 2014]. Also the Supreme Court of the Netherlands adopted that stance, applying to the UN the principle strengthened by the ICJ in its Judgment in Germany v. Italy, see Mothers of Srebrenica et al v. State of The Netherlands and the United Nations, [13 April 2012]. Expressions used by A. Stone Sweet, A Cosmopolitan Legal Order: Constitutional Pluralism and Rights Adjudication in Europe, Journal of Global Constitutionalism, 1 (1) (2012): 53-90. M. Kumm, The Cosmopolitan Turn in Constitutionalism: An Integrated Conception of Public Law, Indiana Journal of Global Legal Studies, 20 (2) (2013): 629. 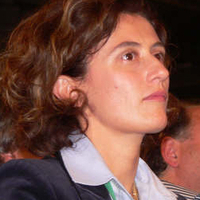 Diletta Tega is Assistant Professor in Constitutional Law at the School of Law, University of Bologna. Couldn’t you put it in simpler language, for the non-experts to easily understand? I understood it but I had to read it all very carefully. I suggest you learn it from Simon Baptist! This entry was posted on April 10, 2015 by Constitutional Law Group in Comparative law, Europe, International law and tagged cosmopolitan constitutionalism, global constitutional law, immunity of States, International Court of Justice, Italian Constitutional Court, Italy, judicial dialogue.